At Hatherton Junction the Staffs & Worcester Canal passes across the foreground of the photo, with Great Haywood Junction to the left and Stourport to the right. 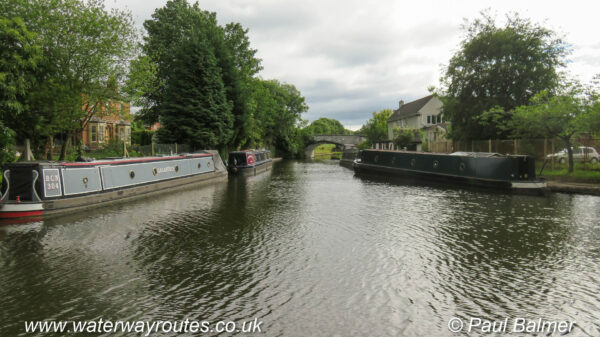 Straight ahead is the start of the Hatherton Canal which is only navigable for around 250m. The derelict route beyond there, linking to the Birmingham Canal Navigations, is under restoration.